Of course, the much more profound question has always remained, “Cui bono?”. Who really gains (or rather gained) the most by staging such a world-transforming and fear-generating event? Did the Afghans or Iraqis have much to benefit by subsequently being carpet bombed into oblivion? Do the Pakistanis enjoy regular drone attacks on their sovereignty? Do the Iranians appreciate constant and unwarranted threats of aggressive military action from the real ‘Axis of Evil’ (USA, UK, & Israel) for simply establishing a peaceful nuclear energy program?! Since the answer is an obvious “NO” to each of these and similar questions, then who is it, really, that stood to gain (and has actually gained) the most from this highly calculated and coordinated false flag operation. Bear in mind that 9/11 has been quite effectively utilized by the political class, within certain nations around the globe, to inaugurate a full-blown, worldwide War on Terror. Which nations? The USA. Israel. The UK. France. Germany. Australia. Canada. Germany. Italy. This list does include the only countries in the world that could have possibly pulled off such a sophisticated attack or possessed the capability to assist in such a plot — a convoluted scheme which included fake airliners, cruise missiles, diverted and disposed of 757’s, impossible cell phone calls from flights at 30,000 feet, total control over all surveillance cameras, etc. Shall we go on for those who still don’t get it? For the uninitiated, please be aware of the following documented facts before you quit reading this exposé. 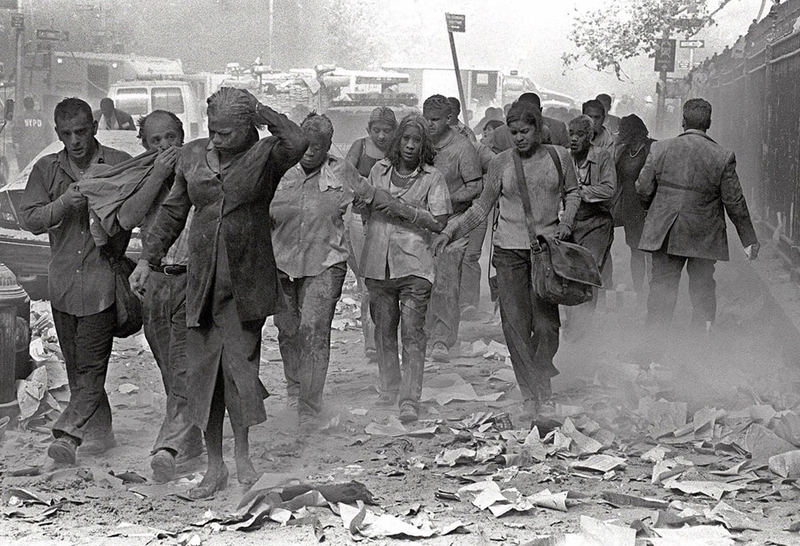 They may very well be the most important revelations you’ll ever read about 9/11. Each of these facts overturns the uniquely telling and significant falsehoods that the US Federal Government has disseminated in the wake of these false flag attacks. However, before we go deeper into the false flag nature of this operation dissect the true conspiracy behind this crime against humanity, it would be wise to first understand the seriousness of the following ten falsehoods. Each of them, even when considered individually, is understood by many around the world to conclusively overturn the impossible and nonsensical conclusions issued by the 9/11 Commission Report. 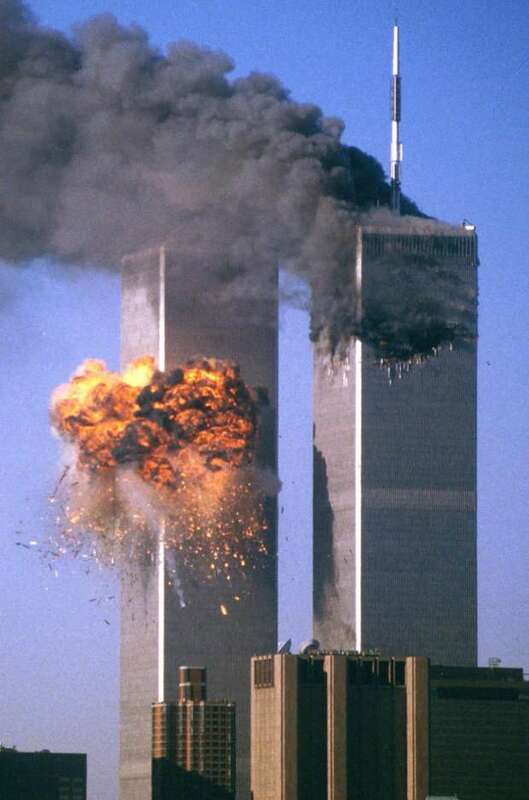 (1) The Twin Towers at the World Trade Center did not come down as a result of passenger airplanes hitting them. Each tower was brought down by very carefully controlled demolitions which ensured that each would fall “nicely” into their own footprint. From all credible and authoritative sources this demolition was carried out through the use of thermonuclear and micro-nuclear devices strategically placed throughout the two buildings in order to quickly compromise their main support systems. Both photos do contain many signatures of EMP (electro-magnetic pulse) weaponry at work on both towers. WTCI and II were not just pulverized and dustified, but also vaporized. Remember the lack of evidence which resulted from the most intensive crime scene investigation in US history. Only DEW (directed energy electromagnetic weapons) could have produced such an effect. 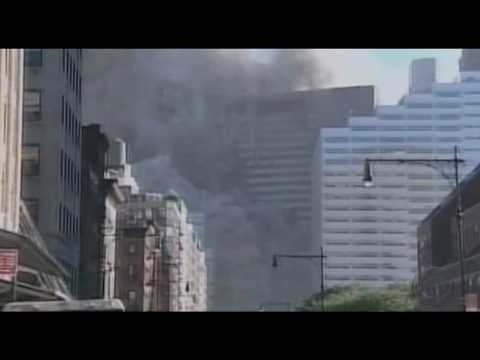 The following link provides indisputable proof that many explosions were heard by firefighters and others throughout the twin tower complex on 911. 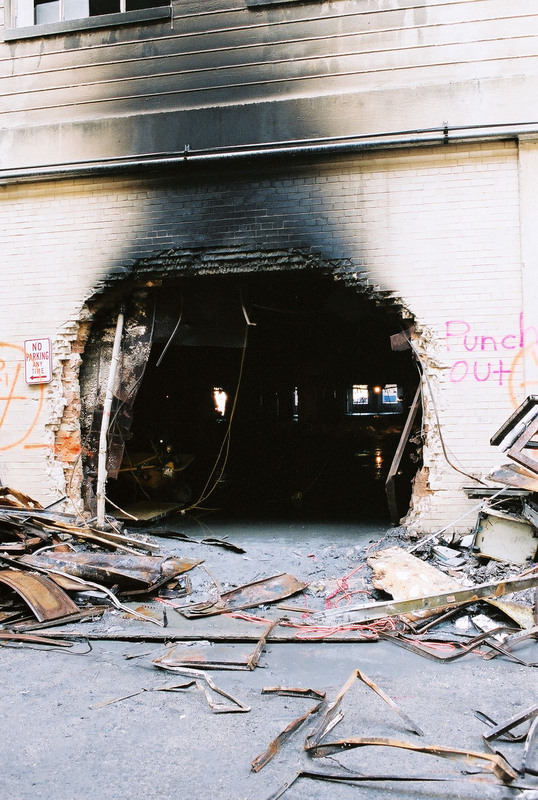 (2) Building #7 was never hit by an airplane and had small isolated fires apparently started by unknown individuals. Clearly this was not even close to what would be required to trigger what amounts to one of the most precisely controlled demolitions in NYC history. 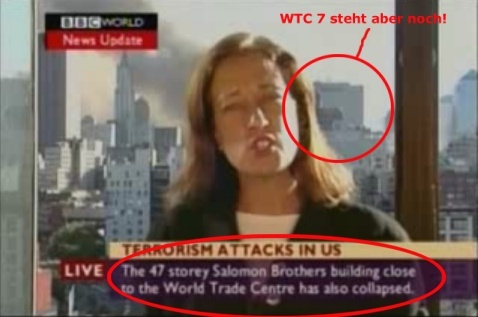 Watch the many videos on the internet which captured Building #7 falling perfectly into its own footprint. 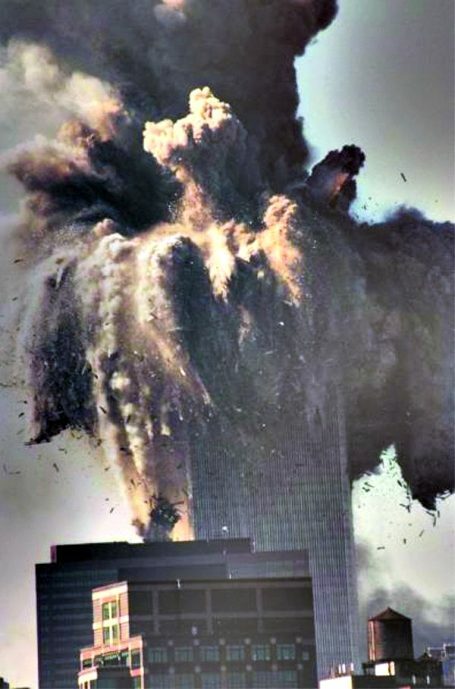 Even Larry Silverstein, the recent owner of the World Trade Center Complex, was recorded as saying “Pull it.” to those individuals who had apparently planted the demolition charges strategically around the building prior to September 11th. Sounds like the execution of an extremely well planned, calculated and deliberate plan to bring down Building #7. BBC Announcer reporting on the demolition of Building #7 20 minutes before it actually fell!? (3) The airliner that never hit the Pentagon – American Airlines Flight 77 – was in fact a very purposefully aimed missile; perhaps a cruise missile, whose unusually small point of entry is now well documented on the internet. In the words of Major General Albert Stubblebine who “was the commanding general of the United States Army Intelligence and Security Command from 1981 to 1984 (Per Wikipedia), the hole left by the missile is entirely too small to be the signature of a Boeing 757. 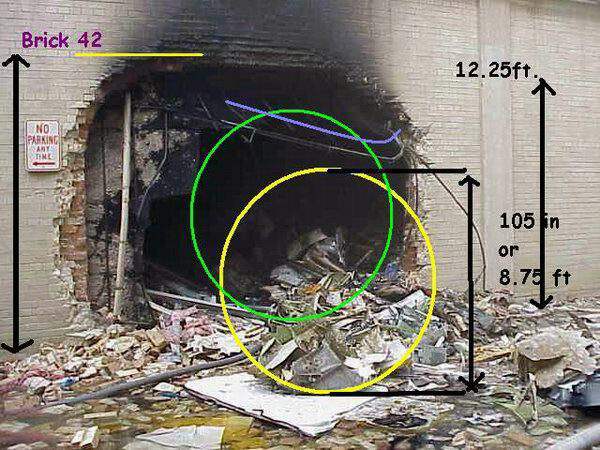 As he heroically declared, “It just doesn’t fit!” “ …a 757 doesn’t fit the hole in the Pentagon.” In other words a huge airliner did not, and could not, have hit the Pentagon. It was a missile strike which could have only been carried out by one of the US Military Services, either the Air Force or Navy. How in the world does a 757 make an exit hole at the Pentagon at great distance from the point of Entry?! Below is a picture of the exit hole in the C-Ring (third ring inwards) of the Pentagon. Let’s now have a look at #4 on this list of whoppers … each of them qualifying as one of the “GREATEST WHOPPERS OF ALL TIME”! 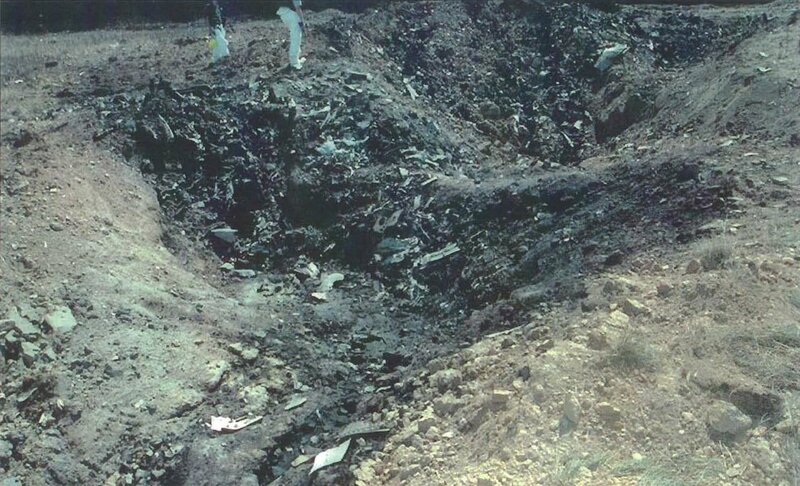 The alleged crater left by the alleged Boeing 757 that allegedly crashed into a field near Shanksville, Pennsylvania. Miller was among the very first to arrive after 10:06am on the magnificently sunny morning of September 11. 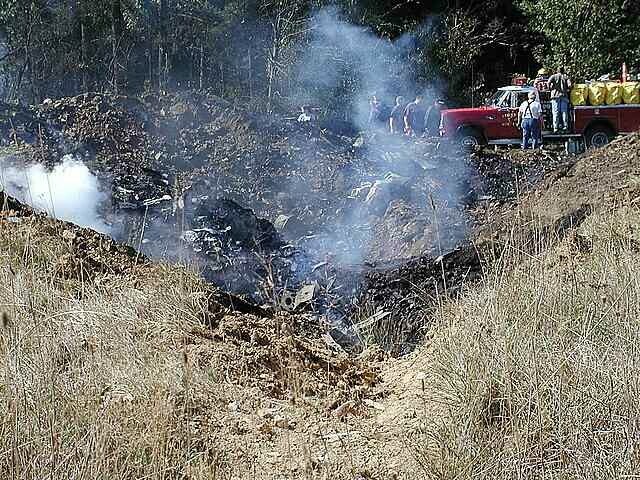 Immediately after the crash, the seeming absence of human remains led the mind of coroner Wally Miller to a surreal fantasy: that Flight 93 had somehow stopped in mid-flight and discharged all of its passengers before crashing. “There was just nothing visible,” he says. “It was the strangest feeling.” It would be nearly an hour before Miller came upon his first trace of a body part. Not a single drop of blood or body part at the crime scene in Shanksville, PA? We have just reported on four (4) of the primary elements of the 9/11 staged attacks on the USA and, as you can see, none of them are anywhere near the official narrative. We, therefore, have a very serious problem to deal with. So serious that, based on these easily confirmed facts, together with reams of circumstantial evidence, everything about the events of 9/11 points unequivocally to the direct complicity of the US Federal Government in the planning, coordination, execution and cover-up of this crime against its own citizens. Furthermore, because of the extremely complex and coordinated cover-up which such a complicated, multi-location crime spree required, there are numerous individuals-in-charge, federal bureaucracies, state agencies, county and city departments (especially local police and county sheriff departments), military services, law enforcement entities and intelligence agencies to include the CIA, NSA, FBI, which have a lot of explaining to do. The list of “unindicted co-conspirators” includes first and foremost some of the most senior members of the executive, legislative and judicial branches in office before, during and after the 9/11 attacks. Before we move on to six more falsehoods peddled as 9/11 facts, it would be helpful if the reader could view all future evidence through the following lens: That the 9/11 Commission Report was created as a completely fabricated story issued to erroneously confirm many of the false reports and untrue statements which were made on and following 9/11 by the government, and circulated by the media. The first four major components of this debunking process, however, are key, as they are critical to understanding the awesome breadth and depth of the actual conspiracy. 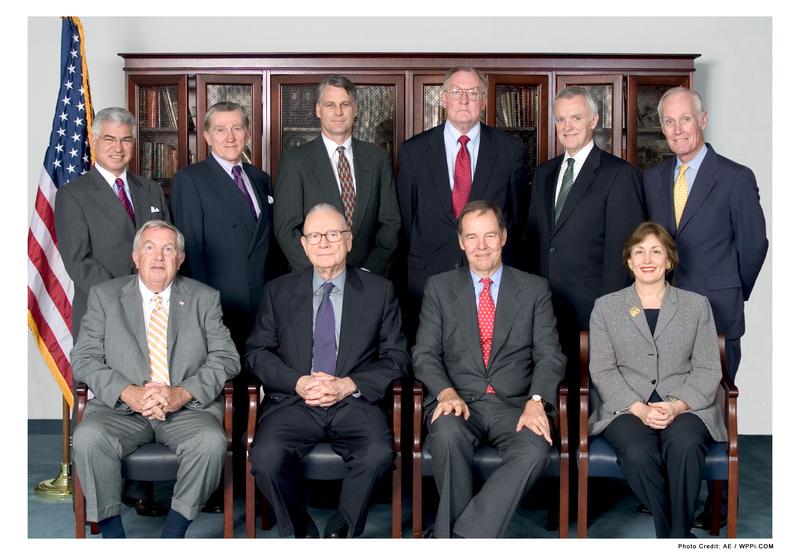 Are all nine of these Commissioners participants in a major coverup? How could they possibly not know they were being lied to by everyone involved in the investigation? Certainly the internet has allowed many researchers and investigators to quite authoritatively dismantle the official narrative. Collaborative efforts and the sharing of privileged information have permitted an unprecedented public dissection of the entire 9/11 crime scene. So persuasive are the many technical and scientific analyses, assessments and evaluations, that even before the other six major discrepancies are looked at closely, it is indisputable that the first four conclusive refutations listed above thoroughly disproves the ‘official’ and patently false 9/11 Commission Report. 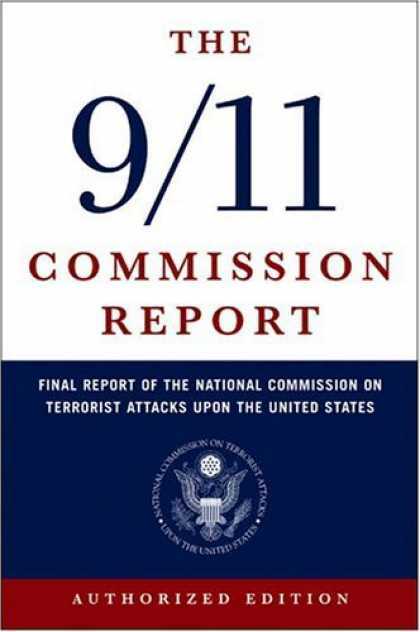 We will continue our debunking of the most implausible and ludicrous conspiracy theory known as the “9/11 Commission Report” in Part II. We will address six more obvious holes in this fraudulent and deliberately misleading government inquiry. Can you believed that we – the taxpayers – paid for this attempt to profoundly deceive the American people? As well as to deceive the entire community of nations in an effort to justify an equally deceptive War on Terror? Clearly, this is a case where the coverup has been more deadly than the crime itself.